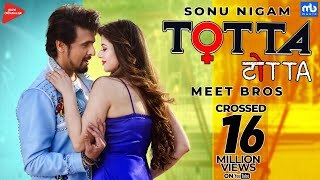 Sonu Nigam’s Totta Lyrics: The song is sung by Sonu Nigam and composers of the song – Meet Bros. The lyrics of Totta are written by Kumaar. The music video directed by Adil Shaikh is released under the label of MB Music. Tere naal ho gaya pyaar! Mainu tere naal ho gaya pyar!